I am pleased to co-sponsor this wonderful event. The daughters of former President Lyndon Johnson, Civil Rights Luminary Ralph Abernathy, Alabama Governor George Wallace, and former Presidential candidate Robert F. Kennedy will convene in Oakland, California, for a unique discussion regarding their fathers’ legacy. These are the biographies of the four dynamic lecturers who will present at the November, 9th 7:30pm Barbara Lee & Elihu Harris Lecture Series event. Ms. Abernathy was born in the midst of the American Civil Rights Movement to Mrs. Juanita J. and Reverend Doctor Ralph David Abernathy, Sr. who created with their best friend, Doctor Martin Luther King, Jr. the nonviolent social movement which changed American History. Her life began with the bombing of her parent’s home. She attended all major Civil Rights Marches, and was an active participant in the integration of the elementary school system in the Georgia. Ms. Abernathy grew up witnessing integral decisions that helped shape American laws with the creation of the Civil Rights Bill, the Public Accommodations Act, the Voting Rights Act, and the National Food Stamp Program and Affirmative Action. Luci Baines Johnson, the younger daughter of Lady Bird and President Lyndon Baines Johnson, is founder of BusinesSuites, a nationwide office business service center. 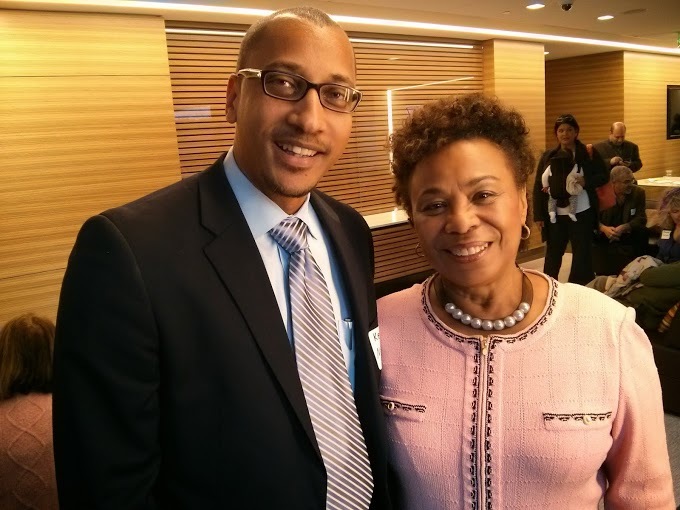 A graduate of St. Edwards University with numerous honors, Ms. Johnson is a Trustee Emeritus of Boston University, Seton Medical Center’s Foundation and Dell Children’s Medical Foundation. Luci Baines Johnson currently serves on the board of The LBJ Foundation, The Lady Bird Johnson Wildflower Center, SafePlace and The University of Texas MD Anderson Cancer Center. Ms. Johnson’s most precious career is her family. She is married to Ian Turpin and has four grown children, Lyndon, Nicole, Rebekah, and Claudia; one stepson, Stuart; and 13 treasured grandchildren. Kerry Kennedy, the daughter of Ethel and former Attorney General Robert F. Kennedy, has worked as a human rights activist since 1981, leading over 40 human rights delegations to over 30 countries. At a time of diminished idealism and growing cynicism about public service, her life and lectures are testaments to the commitment to the basic value of human rights. In 1988, she established the Robert F. Kennedy Memorial Center for Human Rights to ensure protection of rights codified under the U.N. Declaration of Human Rights, an organization that provides a base of support to human rights defenders. Until 1995, she also served as executive director of the Robert F. Kennedy Memorial, a non-profit organization that addresses problems of social justice in the spirit of Robert Kennedy. She is the author of Speak Truth to Power: Human Rights Defenders Who Are Changing Our World, which features interviews with human rights activists ranging from the famous Helen Prejean, Marian Wright Edelman, His Holiness, the Dalai Lama, Archbishop Desmond Tutu, and Oscar Arias, to name a few. Kennedy is a graduate of Brown University and Boston College Law School. She holds an honorary doctorate of law from Le Moyne College and University of San Francisco Law School and an honorary doctorate of Human Letters from Bay Path College. Peggy Wallace Kennedy is the daughter of George C. Wallace and Lurleen Wallace, who both were governors of Alabama. For 50 years Peggy Wallace Kennedy has lived in the shadow cast by her father, Alabama Gov. George C. Wallace, when he stood in a doorway and tried to stop two black students-Vivian Malone Jones and James Hood- from integrating the University of Alabama. Peggy Wallace Kennedy has spoken in universities and gatherings across the nation in support of President Barack Obama. She offers her thought, “Today, Barack Obama is hope for a better tomorrow for all Americans. He stands on the shoulders of all those people who have incessantly prayed for a day when “justice will run down like waters and righteousness as a mighty stream” (Amos 5:24). She lives in Montgomery, Alabama, with her husband, Mark Kennedy, a retired Alabama Supreme Court justice. They have two sons, Leigh, a decorated veteran of the Iraq war, and Burns, a college sophomore. 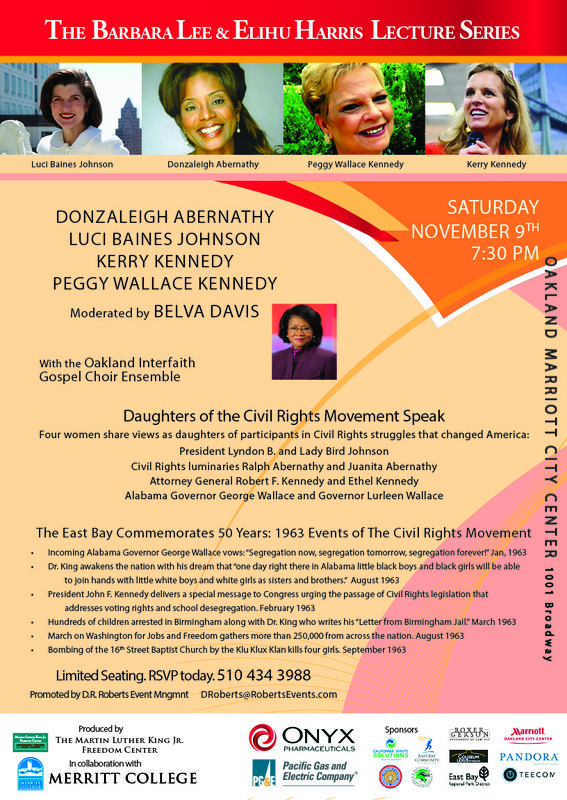 The Barbara Lee & Elihu Harris lecture Series event will be held NOVEMBER 9th, 7:30 pm, Oakland City Marriott. To RSVP, please call 510-434-3988. October 24, 2013 5:41 am / 2 Comments on Congratulations Cory Booker! After a tenacious fight for the special election seat of the New Jersey United States Senate, Newark Mayor, Cory Booker, was elected on October 16, 2013. Much like President Obama, who lost his grand mother days before the election, Booker’s father did not get the opportunity to see his son elected as a U.S. Senator. He passed just days before the election. Nonetheless, I am truly excited and blessed to have had the opportunity to fundraise for Booker and spread his message throughout the world via social media. 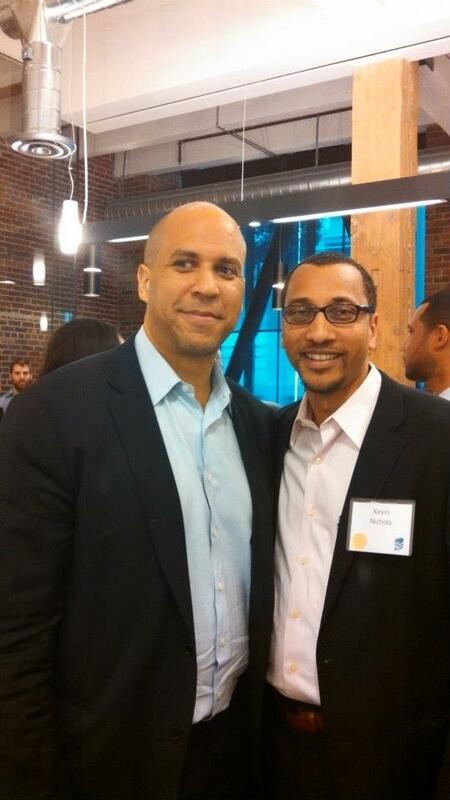 Congratulations Senator Booker and I look forward to more fascinating things to come from you.